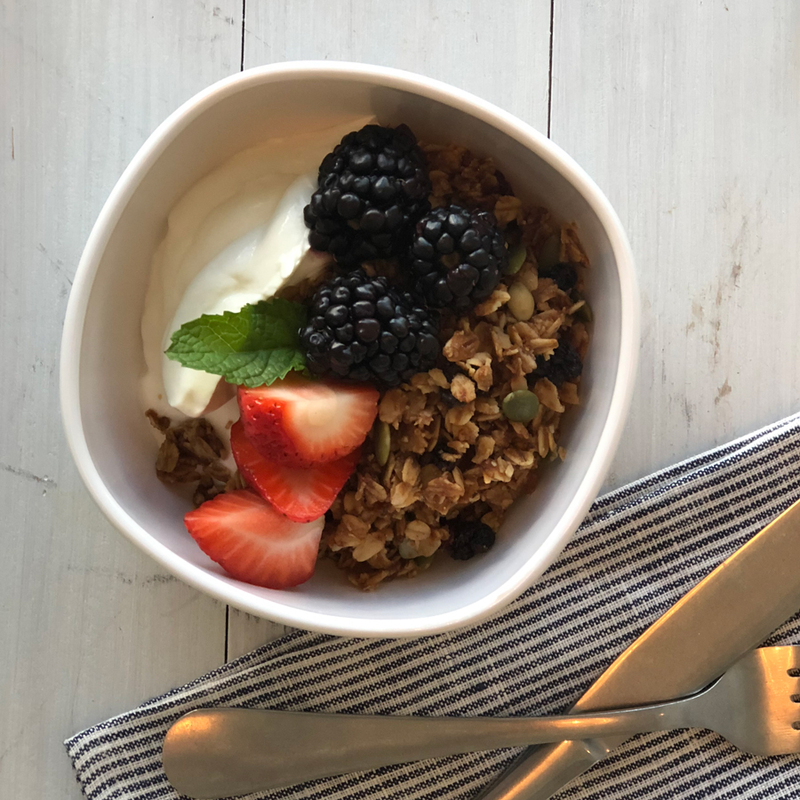 Led by executive chef Evelyn Ling (sous chef at Bacchanalia), it will feature 11 types of pancakes, including buckwheat, gluten-free, and buttermilk, with flavors ranging from pecan praline to apple and gruyere. There will also be salads, sandwiches, and a couple of burgers. Below, Quatrano takes us on a tour of the menu. We’re keeping same menu day and night. You can have a burger for breakfast or pancakes for dinner. 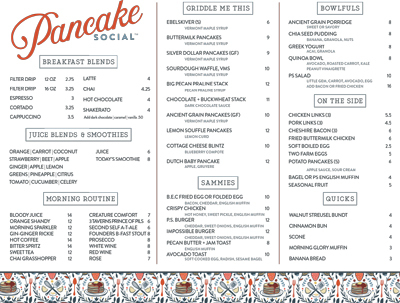 The menu is definitely breakfast-centric. It has salads, a plant-based burger and a meat-based burger. We have egg sandwiches, a chicken sandwich, savory porridge, and grains. The savory sourdough waffles are made from a sourdough starter created 27 years ago at Bacchanalia. The silver dollar pancakes are really light and delicate. They’ll be served with maple syrup and butter, and they’re gluten-free. 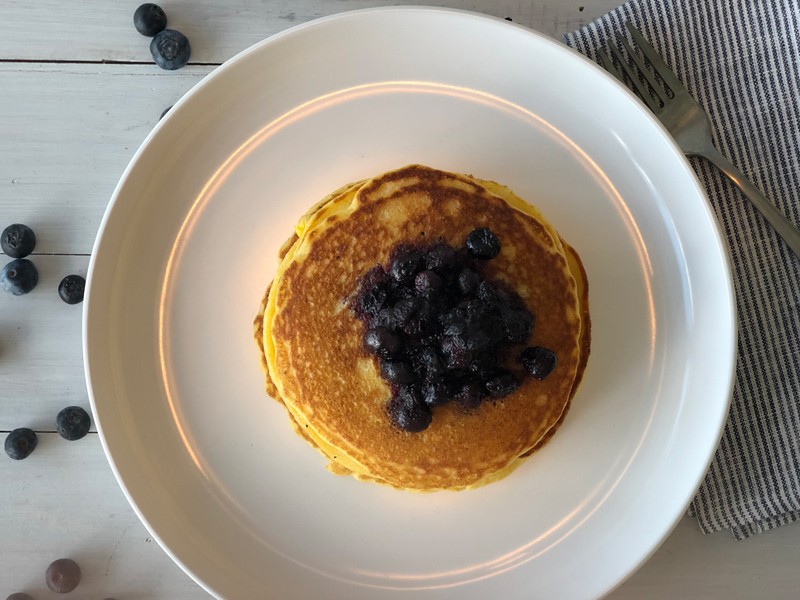 The basic buttermilk pancake has a little crunch on the top. 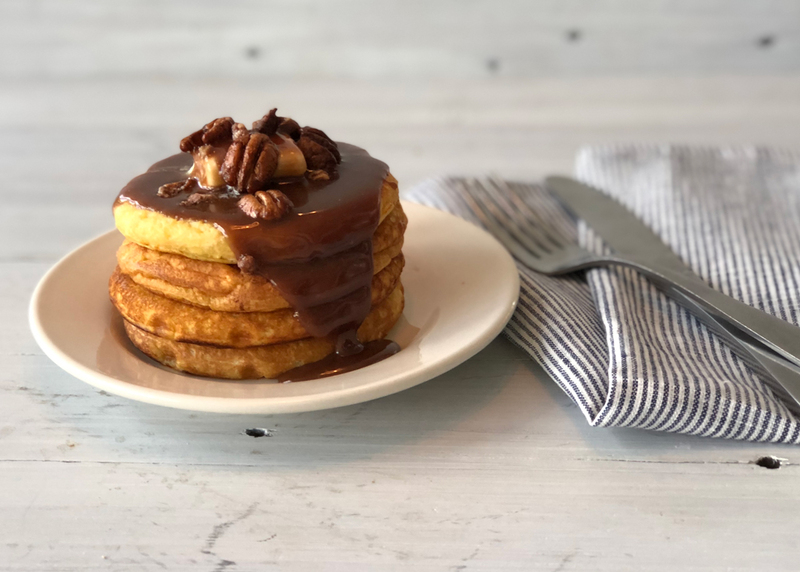 The pecan praline stack is really cakey, tall with a decadent, gooey pecan-praline topping. Our pancakes mostly come three to a stack. They’re about ¼-inch to ½-inch thick. The buckwheat pancakes have chocolate chips and cocoa nibs, but are not terribly sweet. The ancient grain pancake is like our porridge made into a pancake. We slow-cook grains with water and fold in egg and a little gluten-free flour. We have a corn pancake that’s our version of a hoe cake. The grains are all from Anson Mills. Our puffy Dutch baby pancake is a little savory, and it’s baked in a cast iron pan with apples and gruyere cheese. It’s like our gougere recipe, or similar to Yorkshire pudding with an eggy batter. The potato pancakes will be served with sour cream and applesauce. The Japanese souffle pancakes are as light as air, about 2 inches thick, and mostly egg. They’re served with a lemon marmalade. 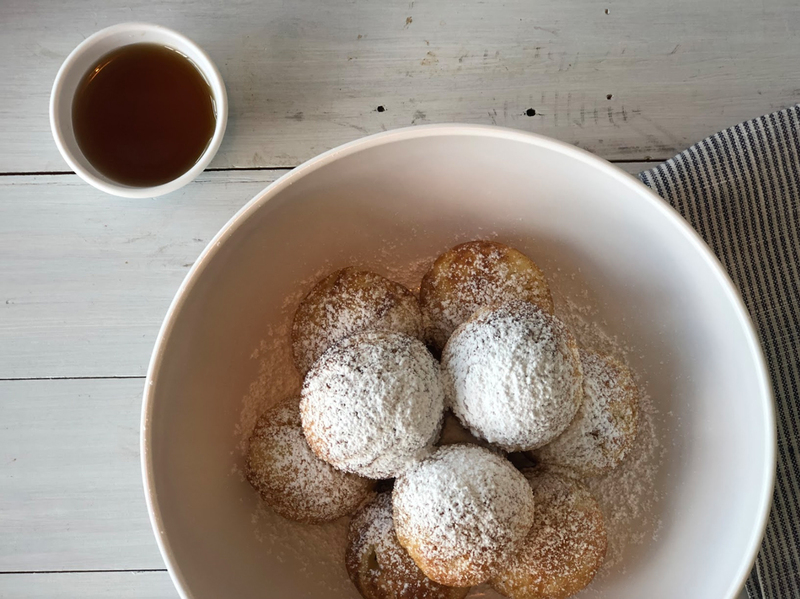 Elbelskiver are round pancakes, like a ball, prepared in cast-iron pans. It’s kind of like a doughnut hole, but not fried. We’re rolling ours in cinnamon sugar. Blintzes are something you’d see in diners where I grew up in Connecticut. It’s a cheese blend rolled in a crepe and baked with berry compote. We’ll likely have crepe specials, too. The front area of the restaurant will be counter service, but the whole menu will be available there. There will be 30-40 seats, and the counter with coffee and pastries. We’ll have quick breads, muffins, scones, cinnamon buns, coffee cakes, and streusel bunt cakes. Tony Riffel is running the bar with general manager Michael Harrell. There will be beer and wine on tap, and breakfast cocktails. The Coffee is from Revelator, and there will be some alcoholic coffee drinks. We’re making juice blends every day: beet, apple, and strawberry; carrot, coconut, and ginger; and greens, pineapple, and yuzu. There’s also a spicy tomato juice, and a smoothie of the day.